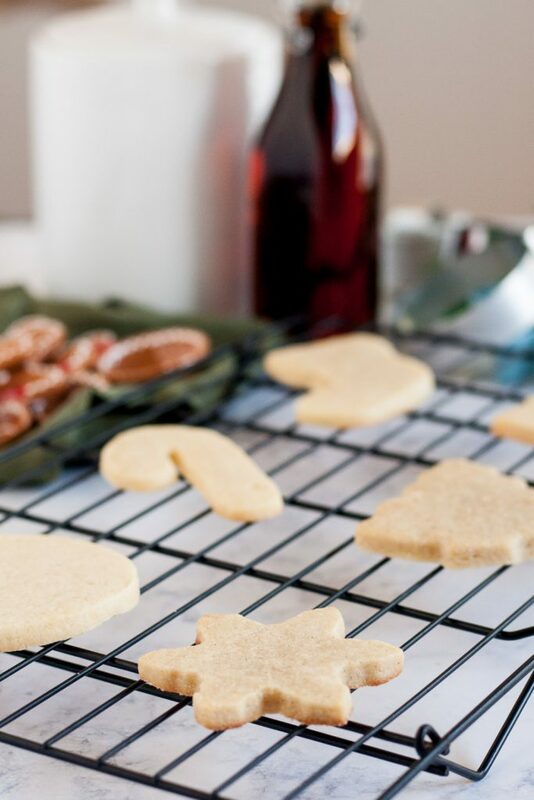 Soft, yet still able to hold their shape, these cut out sugar cookies have been my go-to recipe for years. This recipe is an excellent base for a variety of flavor variations for decorated sugar cookies! 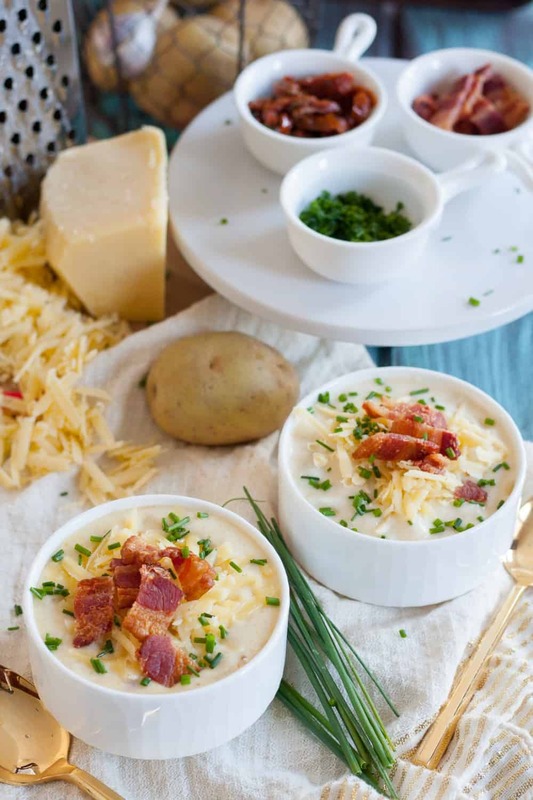 Darlings, sharing this recipe is a Big Deal for me. Sometime over the past year and a half, I’ve realized I don’t plan to open my bakery again, at least not in the foreseeable future. We move frequently, often to homes where space is at a premium and commercial locations are expensive. There’s also a life “balance” to consider, and I really really find I enjoy blogging and sharing what I learn. So I’m slowly letting go of more “bakery vault” recipes, these cut out sugar cookies being one of them. I’ve made no secret of the fact that sugar cookies are not my first go-to dessert, so I had to work hard to find a recipe that I wanted to eat before I offered decorated cookies as a menu item. To me, sugar cookies should not only look good, but they should taste delicious! A soft, perfectly spiced cookie that bakes beautifully in the oven and provides a great surface for royal icing or fondant decorations is a must in every baker’s recipe book. After a good bit of testing, this is mine. The pictures have a bit of a holiday theme to them because I snapped the photos of some cookies I made for a class I taught to my MOMS group, but the recipe itself is clearly not limited to holiday uses. 😉 Especially since, once you start buying cookie cutters, you’ll find you go from 10 to 100+ in no time because you “need” that cute shape or that size square, etc. 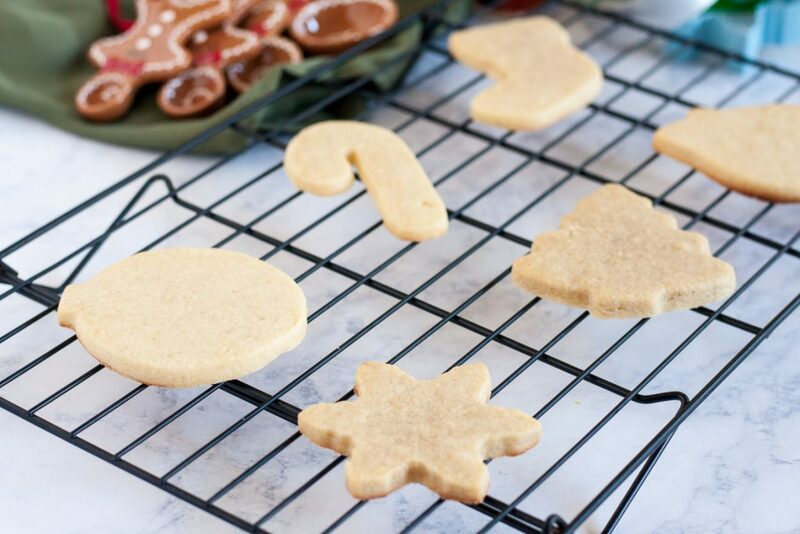 If you’ve tried any of the other sugar cookie recipes on the site (eggnog or pumpkin), you’ll notice that they’re all just a slight variation on this recipe. 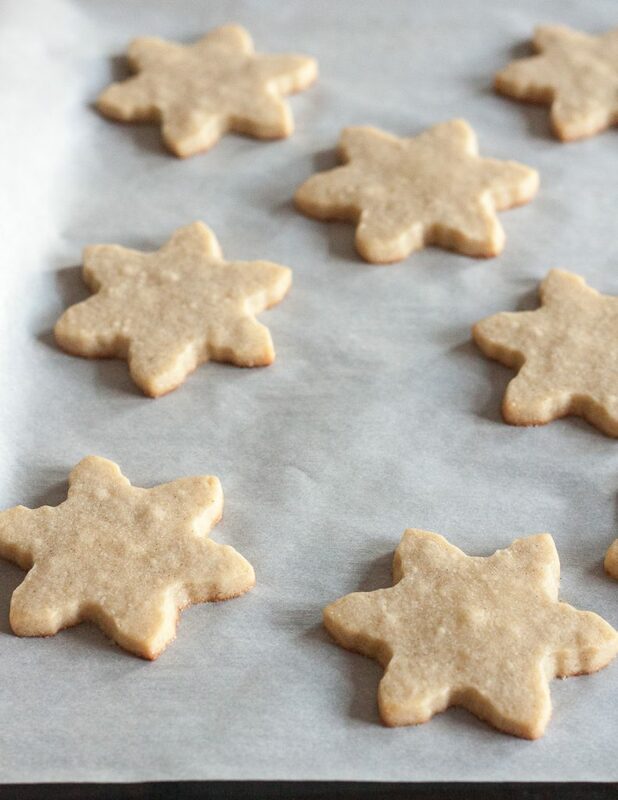 Partially because all sugar cookie recipes are slight variations on each other, and just because I know this one works to provide good results. 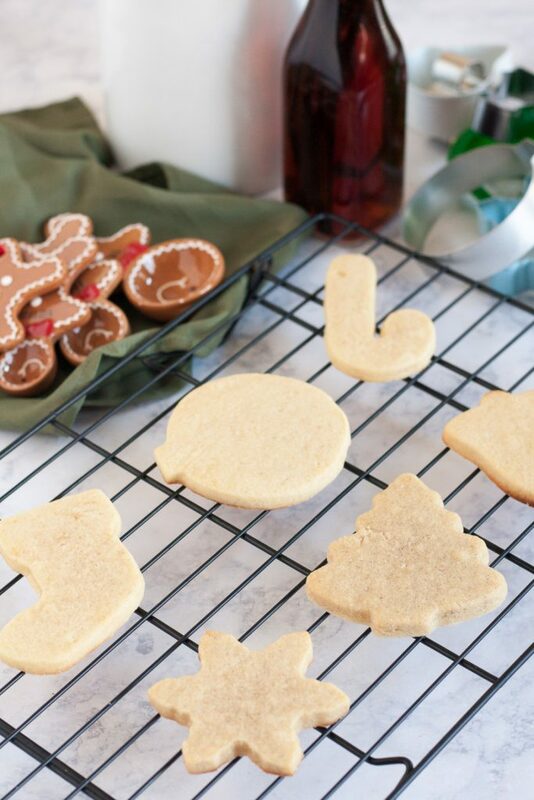 This cut out sugar cookie recipe does require chilling time. I haven’t found a way around that, but it’s good. If you’re decorating with royal icing, especially during busy holiday seasons or for an event, it’s nice to split the work over a few days. I will often prep dough the first day, maybe bake a few hours later, then start decorating the next day. Whether decorating takes 1-2 days depends on the level of complexity and available time. 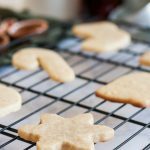 If you’re looking to skip the royal icing or other intricate decorations, this sugar cookie recipe also works great with buttercream frosting. And it’s strong enough to make them sort of toddler proof as evidenced in this Valentine’s Day cookie party post. I hope you enjoy this recipe. I’m always happy to answer any questions about it. Be sure to read the notes section in the recipe box. Depending on my mood and the cutters I’m using, I will sometimes make variations on the base recipe. I’ve included those for you as well and a few tips. 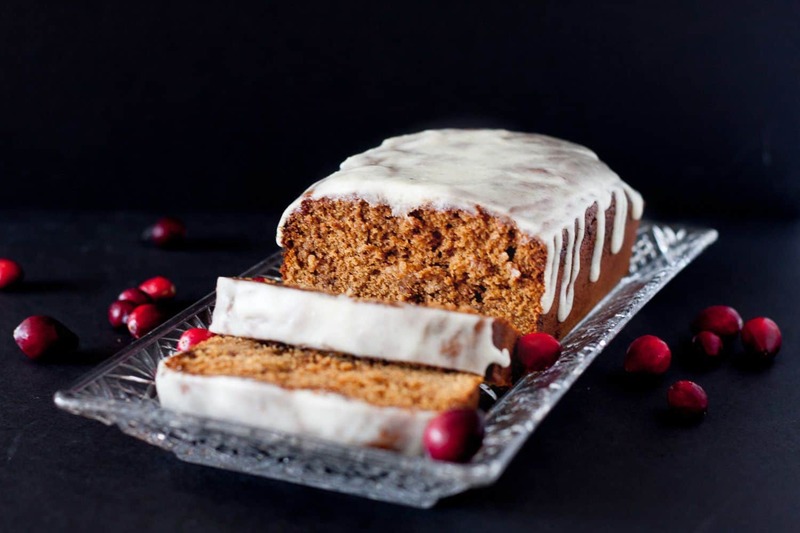 Happy baking, lovelies! Cream together the butter and sugars in the bowl of a stand mixer until just combined. This takes about 45 seconds on medium speed. Add the egg and vanilla extract and mix. Scrape the sides of the bowl. In another bowl, mix together the salt, baking powder, and 2 1/4 cups of flour. Add the flour mixture in 2 batches to the butter and mix just until all the flour has been incorporated. If you find your dough is still wet and sticky, add additional flour, 1 tbsp at a time until the dough is no longer sticky. You don't want the dough to be dry and crumbly either. Split the dough in two and roll each section to ¼" thick between two sheets of plastic wrap. Refrigerate at least 30 minutes, up to overnight. Preheat your oven to 400 F. Remove the cookie dough sheets one at a time from the refrigerator. 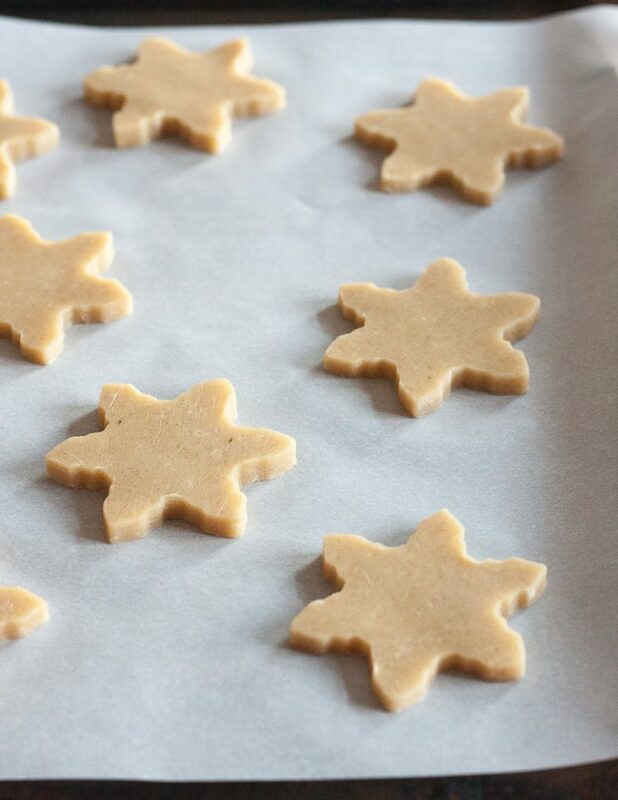 Cut out your shapes and lay them on ungreased parchment paper lined baking sheets. If you have the time, placing the cut cookies in the freezer for 10-15 minutes will help hold shape as well, especially for detailed cutters. Re-roll and refrigerate any remaining cookie dough. 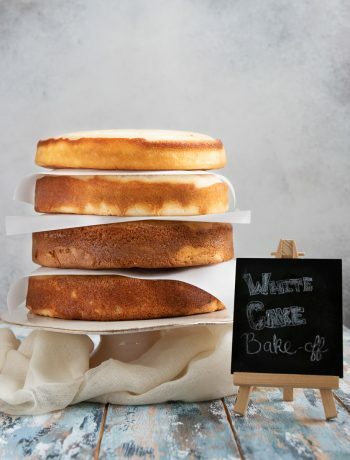 Bake for 8-10 minutes until the edges are a very light golden brown. Remove from the oven and allow to set on the sheet for 5-10 minutes before transferring to a wire rack to cool completely. Cookies must be completely cool before decorating. If I am working with very large or very detailed cookie cutters, I will sometimes replace half to all the brown sugar with powdered sugar. I have forgotten the baking soda and the recipe has still turned out. A little less soft, but still worked. The cookies end up softening after a day or so anyway thanks to the moisture in the brown sugar. 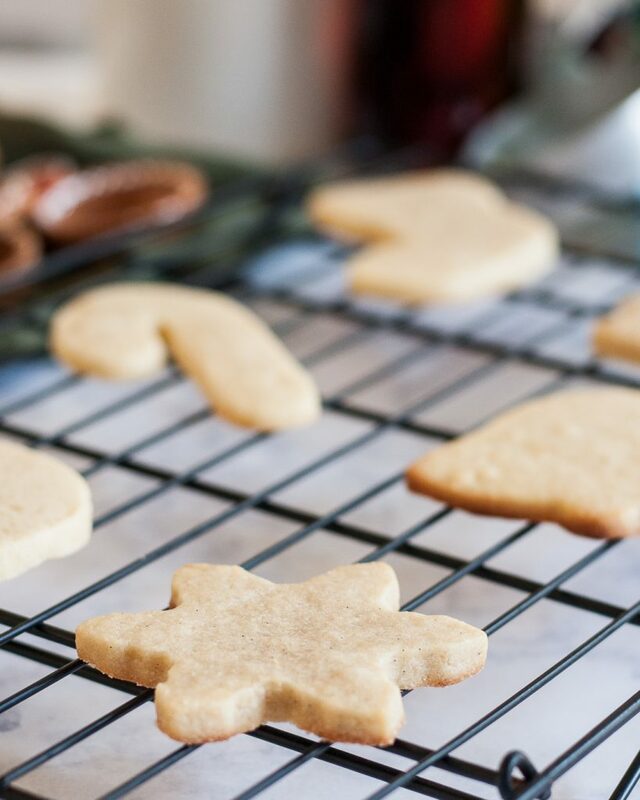 If you'd like to prepare the cookie shapes in advance, cut out the cookies after chilling the dough, and then freeze up to 3 months, baking when you're ready to decorate. This adds about 1-2 minutes to baking time. Baking time can vary depending on the size of your cookies. For mini cookies, start checking at about the 5 minute mark. The recipe baking times are for a 2 1/2-3" cookie.